Check Out Our Interview in Voyage Dallas! Welcome to Ardy’s for Paws (Professional Pet Grooming And Boarding) located in Dallas, TX offering superior pet grooming services in the far North Dallas area since 1972. Other companies may try to copy our name, but not our expertise! Why trust your pet to anyone else? 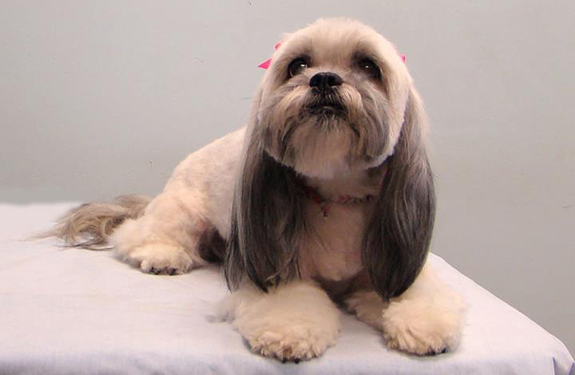 Most groomers only know how to do two or three hairstyles and apply these styles to every pet. If you are able to find decent pet grooming, many grooming shops have very high turn over, and that groomer may not be available on your next visit. The team at Ardy’s for Paws (Professional Pet Grooming And Boarding) in Dallas, TX have been together for over 18 years!!! What’s more, their groomers have been AKC judges, dog show groomers and long time breeders. They strive to stay up to date on current trend and styles. We are a proud, locally owned and operated small business in Dallas, TX. 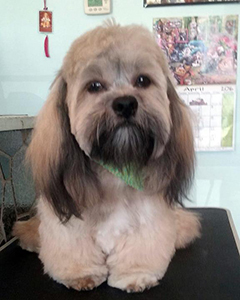 We provide grooming and boarding for dogs and other small animals. Our owners have experience with dog breeding and showing, meaning we always know how your dog breed should look. We are proud members of the Lhasa Apsos Club. Our business has been serving the area since 1972. Ardy’s For Paws offers professional dog grooming and dog boarding to customers in Dallas, TX and Richardson, TX! Call Ardy’s For Paws (Professional Pet Grooming And Boarding) today to schedule an appointment. Senior discounts are available. Ardy's For Paws specializes in correct breed clips adapted to the active pet lifestyle. Just because your pet isn't a show dog, doesn't mean he can't look like one! We currently are accepting Small Breeds Only. We apologize for any inconvenience.